If you currently own or have managed a restaurant, then you understand that the kitchen is the heart of everything, you could have hired the best interior designers in the world to get you an amazing decor but if the kitchen isn't working then nothing will. And its true cleanliness is always the one aspect many restaurant owners seem to downplay. See most owners put cleaning on the back of the list so that it merely becomes a secondary task which is the worst way to do it. To build a restaurants' reputation or the image it holds in the customers' eyes, you need to scrape regularly, you need to polish regularly, you need to scrub regularly and most importantly you need to clean regularly. Cleaning will not only help you boost your franchise directly - imagine if your customer was busy eating some of your delicious pie and they saw a cockroach walking on the ceiling, bet you can guess how many times they will come back to your restaurant - zero. Cleaning helps prevent this from ever happening. Regular cleaning will also help grow your business indirectly, by cleaning your systems often you can prevent grease accumulation, which will in turn prevent fires. 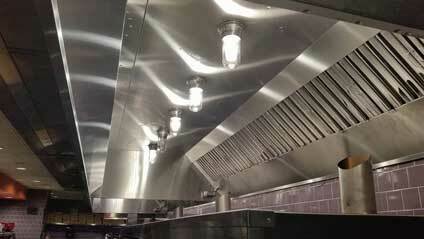 Did you know electricity and grease are the main causes of restaurant fires, causing millions in damage? Don't be part of this statistic. Make sure you're ready and save yourself all the unnecessary loss associated with incomprehension. I can't really blame them though, cleaning is tough, lack of coordination in itself can lead to poor results. You need a team that's been working for years perfecting itself while equipping itself with all the necessary tools to ensure good work is accomplished. That’s us. At San Antonio Restaurant Hood Cleaning, we strictly follow and adhere to all NFPA guidelines and train our workers too - all to ensure everything is going according to plan and you’re always ready for inspector visits. None of the clients we have previously worked with has left dissatisfied with any of our services, we have always tried to overdeliver and we're 200% sure we will blow your mind too. You can also request before and after pictures of the service areas being to validate this claim. Here are some of the most frequently asked questions our clients have asked us. 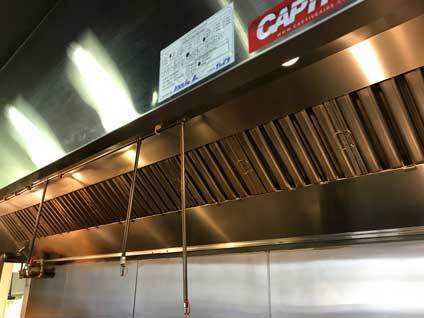 What does San Antonio Restaurant Hood Cleaning do exactly? I know you saw 'hood' in our name and thought hood cleaning. You’re smart we do offer hood cleaning services and we're the best at it, but we're also the best at many other things. 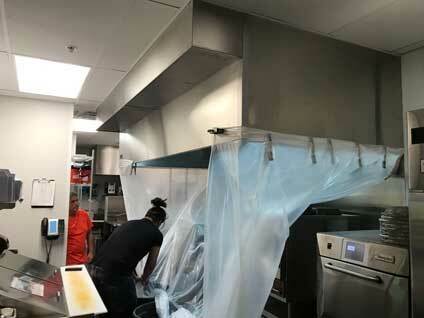 We also clean kitchen equipment really well, we help restaurants maintain fire safety, we help with grease containment and removal, we do general restaurant cleaning etc. Our experienced team has spent years honing the skill of restaurant cleaning and is more than ready to take on any task you present them with. Why is a good clean so important to your business and reputation? Restaurants (or places with commercial kitchens) must foster a clean and hygienic environment to maintain the health and safety of employees and customers. Regular cleaning and servicing will also not only go into building the overall restaurant appearance, it will also help keep you safe. Safe from the preventable fires caused by grease accumulation within the system. Which neighborhoods do you offer services too? We currently serve San Antonio, Texas and all the areas surrounding it. Simply call us if you’d like any of our services. We'd love to schedule an appointment to find out more about your requirements. Do you clean any type of restaurant in particular? We have the best rates in town because we offer the best services in town. Please note that because every client has unique needs and requirements, we refrain from setting fixed service prices. Get in touch with us if you need a quote. Do you need to however be aware that the quote estimate will be charged according to Size of your restaurant? It's the current condition of your restaurant’s equipment? and lastly the number of add-on services you'd like included in the quotation package, these services include something like hood filter maintenance. For a free quotation regarding any of our services or should you have any questions you would like answered, please don't hesitate to contact us. If you'd like we can even schedule an appointment whereby we'll send in one of our representatives to come to you for an inspection and craft a custom quote that's tailored to your needs. Call us on this number - (210) 944-4984 to get started or you can use the contact form here to send us a message. Looking forward to working with you, both now and in the future.